PacificHost Review 2019: Is PacificHost a Good Hosting? Web hosting provider PacificHost offers feature-packed plans so that individuals and companies can launch highly functional and responsive websites. 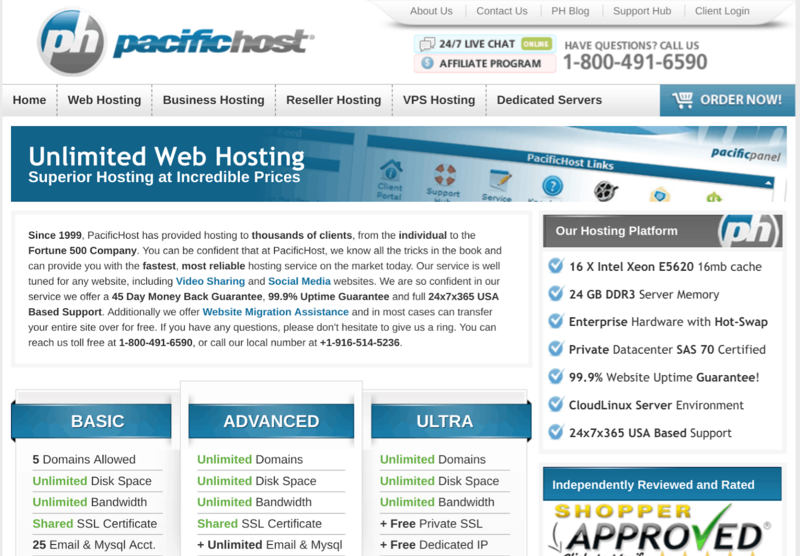 Founded in 1999, PacificHost offers reseller, VPS and web hosting services. It currently serves thousands of customers ranging from individuals to major corporations including Fortune 500 companies. PacificHost not only hosts your website but also helps you develop your online presence and subsequently build your business. Its excellent customer engagement and support service is complemented by even better partnership programmes. The PacificHost website is in English. PacificHost offers hosting services with a rich set of features. The three shared web hosting plans start out with five domains, unlimited RAID 10 disk space, instant activation, PHP support, and 25 MySQL databases. Or, you can upgrade to a higher plan with unlimited resources. 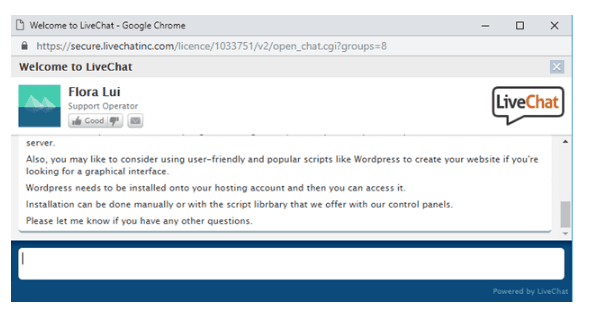 This provider’s hosting plans feature a multi-language cPanel control panel along with the Softaculous one-click installer for more than 200 scripts. PacificHost also features a free CloudFlare CDN that enhances performance by caching content close to your website visitors. And for e-commerce, it offers Attracta SEO tools, OsCommerce, and CubeCart. Once you’ve grown your business to the point where regular hosting no longer works for you, PacificHost can offer its Business Hosting packages that cater to higher website traffic and greater RAM/CPU resource requirements. You will not easily get better prices for the packages and features offered by PacificHost. It provides very flexible payment methods (credit cards + PayPal) and billing terms (from one month to three years). You also get a generous 45-day money-back guarantee, which is more than you get with many hosts, and it gives you more than a month to get out if anything goes wrong (which, hopefully, it won’t). PacificHost has a dedicated support hub filled with much of the information you will need to support yourself, but if you need to contact the company, you can do so through live chat, phone, ticket or email. I tested the 24/7 live chat to my satisfaction. The operator picked up immediately and provided me with all the information I needed. In addition to its web hosting services for end-users, PacificHost also provides a good range of reseller hosting plans, plus fully-managed VPS hosting. For feature-packed hosting, pick PacificHost. Wondering how PacificHost stacks up against other Web Hosting companies? Enter any other Web Hosting company and we will give you a side-by-side comparison.